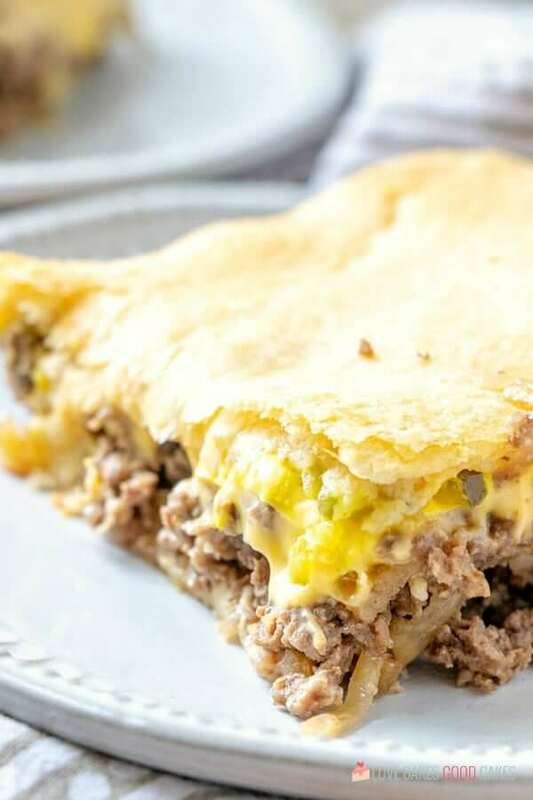 Satisfy your craving but skip the local fast-food joint – this White Castle Casserole is a simple and delicious family-approved weeknight meal! White Castle, founded in 1921 by Walter Anderson and Billy Ingram, is famous for it’s “sliders” – a simple, small, square burger. What you may not know is, White Castle, is generally credited as being the first ever “fast-food chain.” Anderson is credited with inventing the hamburger bun and for using Henry Ford’s model of the assembly line in the kitchen. Who knew? Trips to the Midwest are a little more scarce for us these days. With a large family and my husband’s 60+ hour a week job, it all prevents us from doing many things. Our priorities are in other places rather than galavanting around the Midwest eating at White Castle. Our “trips” tend to be a little closer to home right now. How do I enjoy White Castle without a restaurant near me? And that’s not necessarily a bad thing. And, that doesn’t have to stop us from enjoying White Castle. We could buy those pre-packaged boxes of sliders in the freezer section of our nearest big box store. Or we could make this super easy casserole that has all the same great taste! Obviously, we went for the latter. And you should too! 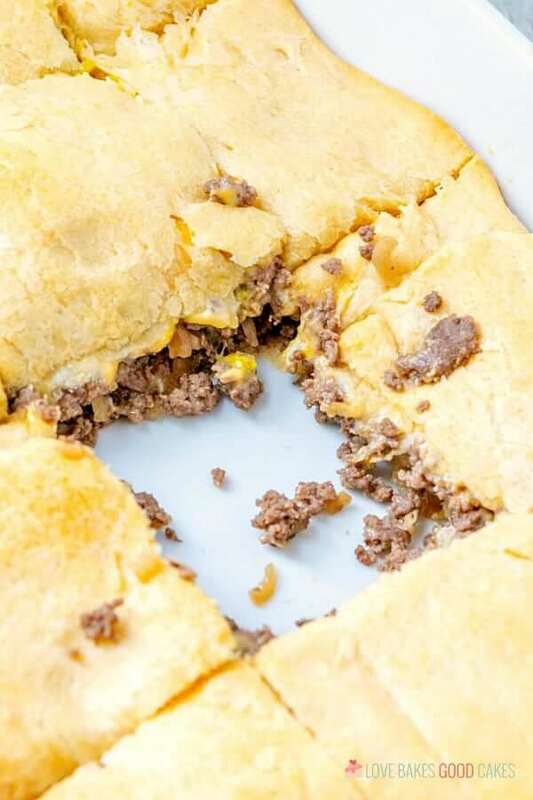 It’s so easy to make this White Castle Casserole at home. And it’s a family-approved recipe! 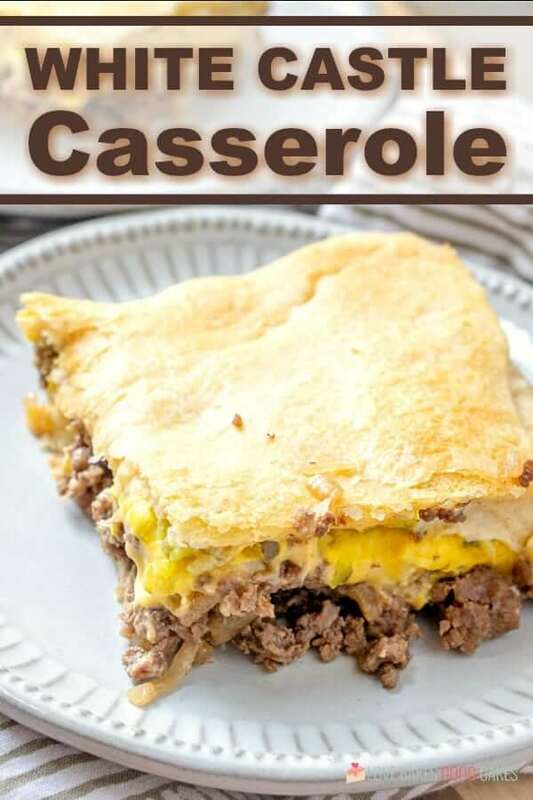 My kids love when this casserole makes an appearance on the menu! I will note that although ketchup is not listed as an ingredient, sometimes I like to add a drizzle of that underneath the top layer of crescent rolls along with the mustard and pickles. If BBQ sauce is your jam, feel free to substitute that. 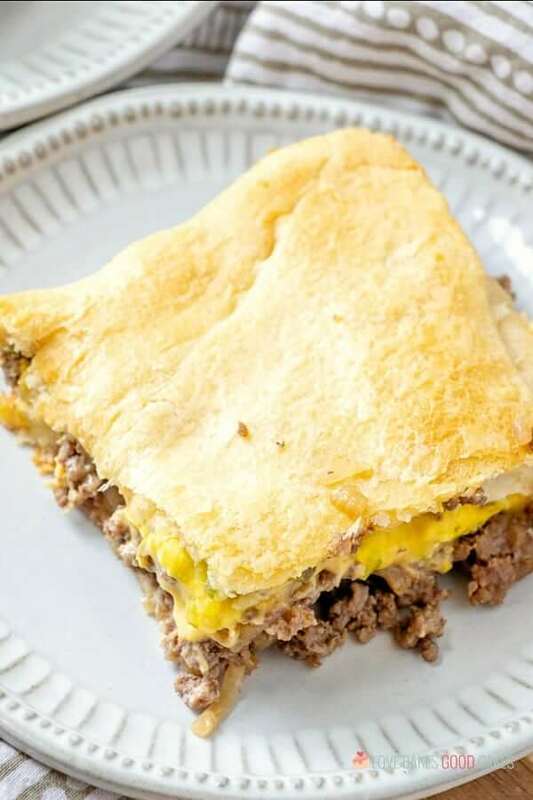 You just can’t go wrong with this easy White Castle Casserole! 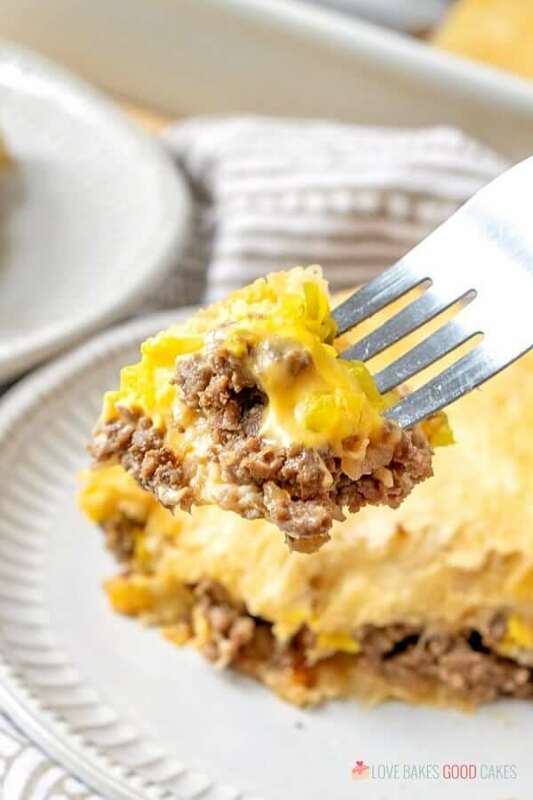 Satisfy your craving but skip the local fast-food joint - this WHITE CASTLE CASSEROLE is a simple and delicious family-approved weeknight meal! Preheat oven to 350°F. Lightly spray a 9×13-in. 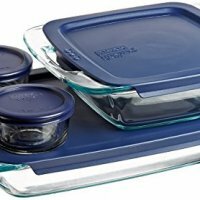 baking dish with cooking spray and set aside. 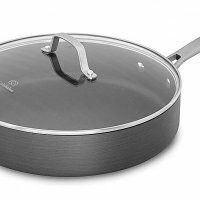 In a skillet, brown and crumble the ground beef with both packages of dry onion soup mix. Drain meat into a colander; using paper towels or a clean dish towel, press down on the beef and squeeze out as much of the liquid as possible. Unroll one tube of crescent rolls into the prepared baking dish. Flatten slightly to seal the seams and cover the bottom as necessary. 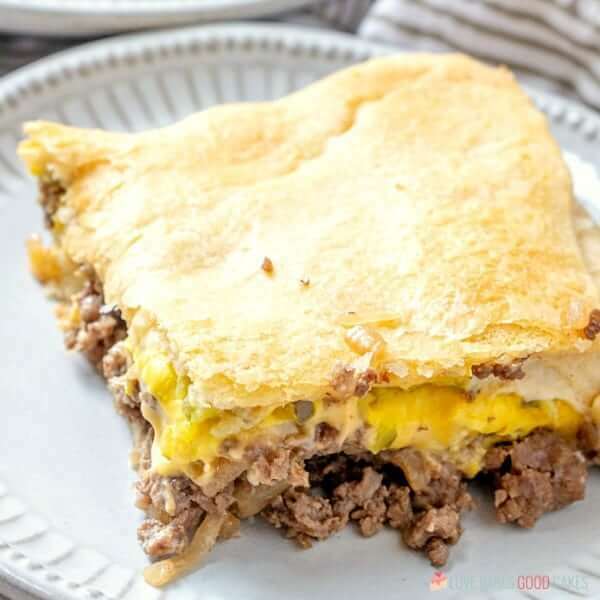 Top with ground beef. Add cheese slices. Top with pickles and drizzle with mustard. Unroll the other tube of crescent rolls over the top, sealing seams and covering the contents in the pan. Bake for 15-20 minutes or until the top is golden brown and the cheese is melted. To serve, cut into squares and serve with additional condiments if desired. 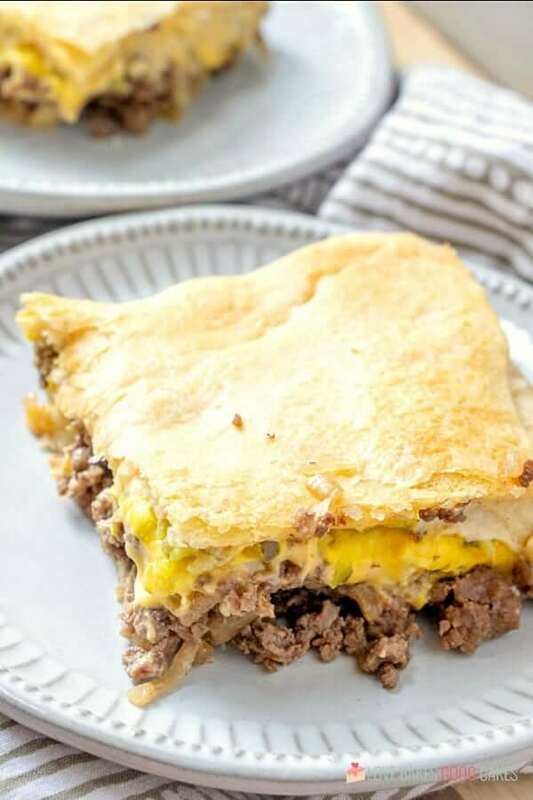 We do not have tubes of Crescent Rolls 🙁 Not even a clue what it is… and this dish looks so delicious! It's found with the canned biscuits! 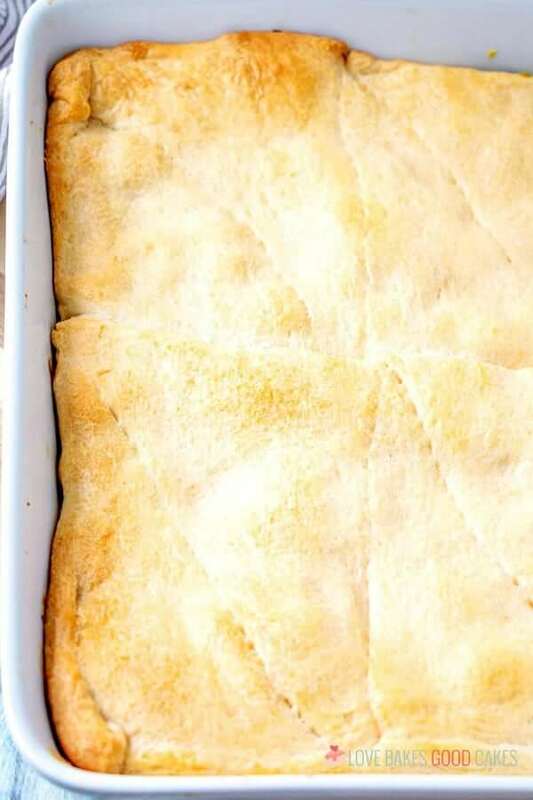 Crescent rolls are a very light pastry with a buttery flavor. they are found in the refrigerated case near the canned biscuits..yummy and can be used in many recipes. I use them for the crust for pot pies and for making piggies in a blanket. Tubes of Crescent Rolls is by Pillsbury. You must of seen them advertised on TV. 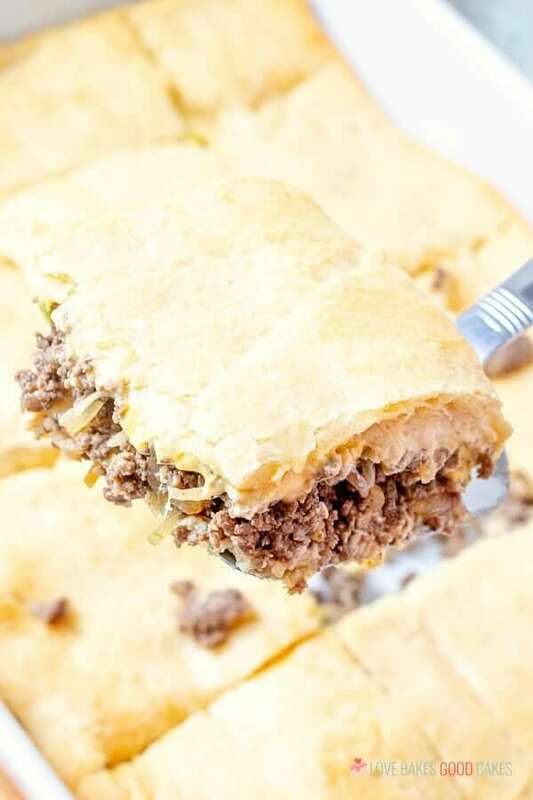 They now have Crescent Roll sheets that come with two sheets that you don’t have to seal seams but comes all in one sheet which would be easier to use where you’d put one sheet on the bottom and the other sheet on top of the meat mixture. Hope this helps you. Oh my goodness, this looks SO good! I'm a big fan of anything cheeseburger. Pinning this! Wow, simple and sounds so delicious. Will you share this over on our hop too? Awesome! You always have great stuff. This is the second time in a few days I have clicked on you from different parties. I will put this on my list of things to try when I am being bad for sure. Have a great week! 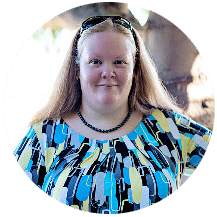 Found and followed you through Adorned from Above's link party! LOVE WHITE CASTLE but I live in the south and there are none to be found. Will definitely try this one out!! Krystal’s are the White Castle’s of the south. Love this! and I used to love White castle hamburgers LOL! Thanks for linking up at Heavenly Treats Link Party, You have been featured! Check tomorrows post and get your button! Being from the Midwest (chicago) I love white castle, bu to be honest they don't like me so much as I get older. The dehydrated onions are so good, but so bad, if you know what I mean – they don't call them "sliders" for nothing. But I will give this a try, since the onion soup mix is dehydrated onions. Sounds yummy! Thanks for sharing your inspiration with Sunday’s Best – you helped make the party a success! Your recipe is probably cheaper and more delicious than the frozen White Castle. I have only been to White Castle once… it was very late at night and I found the super small burgers to be strange… now sliders are so vogue. Wow, I just love White Castle and to have it all in a Casserole is awesome! Hope you are having a great weekend and thank you so much for sharing with Full Plate Thursday. Based on your delicious White Castle Casserole photos, we'd like to invite you to submit your food photos on a food photography site called http://www.foodporn.net so our readers can enjoy your creations. Thanks so much for sharing at Adorned From Above. I have featured this post as one of my Friday Favorite Blog Links. This looks delicous. Stop by http://www.adornedfromabove.com to get your featured blogger button. White Castles are the same as Krystal Burgers, if any of you have Krystals where you are. If you want this to be closer to a true White Castle burger and not one of those nasty Krystal burgers, leave the mustard off. White Castle does not put anything on their burgers except for onion and pickle and perhaps a little sprinkle of love. You can get all the HORSERADISH mustard and ketchup your heart desires on the side though! I was just about to say the same thing! No mustard on White Castle. Steamed onions and pickle only. This sounds awesome! I'm from Minnesota and I go every chance I get! I have the copy cat White Castle burgers posted on my blog and I can't stop making them. Love their chicken sandwiches too! Thanks for sharing! We made this on Saturday and it was very good but a little too salty. I will try using only 1 package of the onion soup mix next time and as others have said I did not include mustard as that is not traditional White Castle. I will definitely make it again with the modifications, it was very tasty and easy. I cut the recipe in half and used a 7" x 11" pan. Perfect! Yummy. Thanks for the recipe! What a super fun idea! I can see my family gobbling this right up! Mmmm……want to try this one!!!! 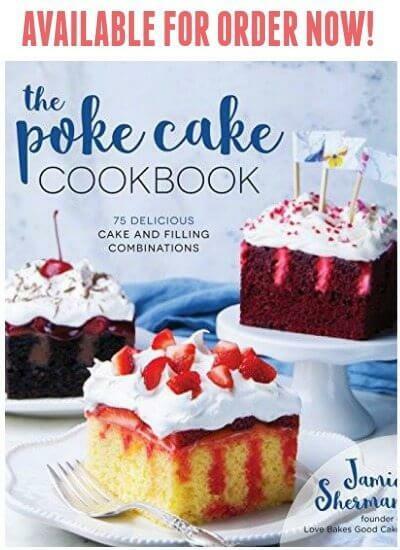 This looks like a fun recipe! I lived in NJ for 10 years and made many visits to White Castle. I’m a native Texan, so it was a new thing for me. I’ve kinda missed them, we’ve been back in Texas a year now. Thanks for sharing! Will def pin. Made tonight and it was delicious!! We left off the mustard, White Castles does not have mustard. I thought they taste pretty close to the real thing! Does the bottom crust come out puffed up and crispy on the bottom or soggy? Was thinking of baking the bottom crust a little first. What do you think? I moved from the Midwest to the west coast and I miss White Castles. (Frozen doesn’t do it). When I saw this I had to make it. We love it. My sister in MN made it and it’s her family’s new favorite. My mom made it and my brother raved over it.